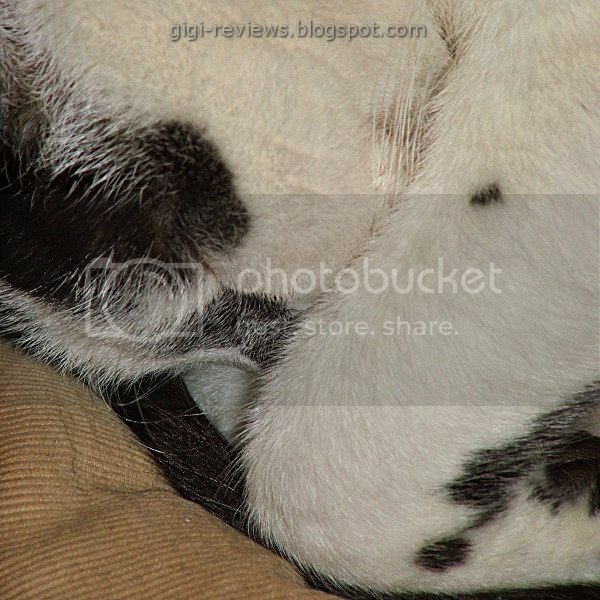 Gigi-Reviews: Winner!! 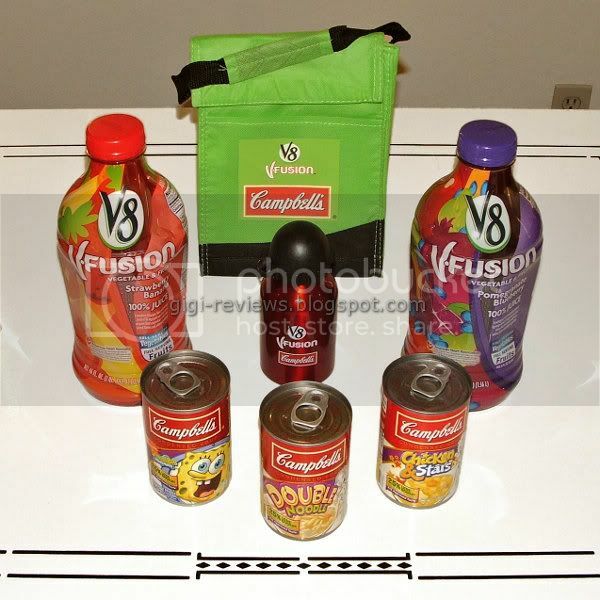 Campbell's V8 V-Fusion Giveaway! OK, it's time to announce the winner of the contest! So with George down for the count, what were we to do? Well, a little known fact is that George actually has a brother! 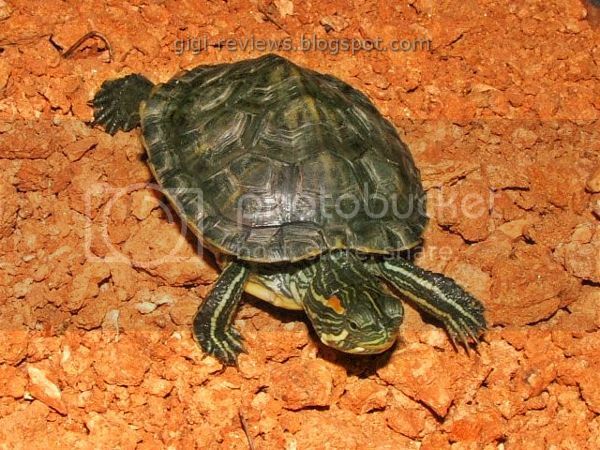 His name is Fmung, and he is a red-eared slider turtle. Most of the time they keep their distance, as one of them is always trying to bite the other. But Fmung (pronounced exactly the way it is spelled) is the elder, so in theory he is the wiser brother. In reality, he is the bitter brother. 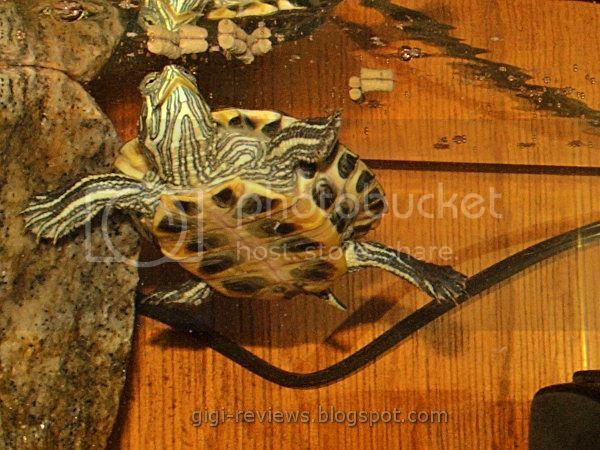 He really wanted to be a Ninja Turtle but he is just really bad at martial arts (though he does look cool in a mask, so figure that one out). Vegetarians who are given a gift of meat? George probably would have sent the cat calender back because he wasn't in it, but Fmung sympathizes because he would never have a cat calender on his desk either. But one gift (or rather, the lack thereof) did stick out in Fmung's mind. And that was poor Meg, who got a gift card envelope, with no gift card at all. He thought there was something very Dr. Seuss about that, and that if anyone deserved juice, soup, and cute little things to carry the soup and juice in, it was Meg! Now, everyone leave warm fuzzy comments for Meg! Oh wow - friggin' awesome! I mean, it was a beautiful envelope and all, but uh, can't really do much with a piece of paper rather than spit my gum out in it. Hooray for v8! Sorry, for posting your reply in this rather old fashioned way Meg, I was unable to edit your contact info out of the actual comment so we went old school cut & paste.